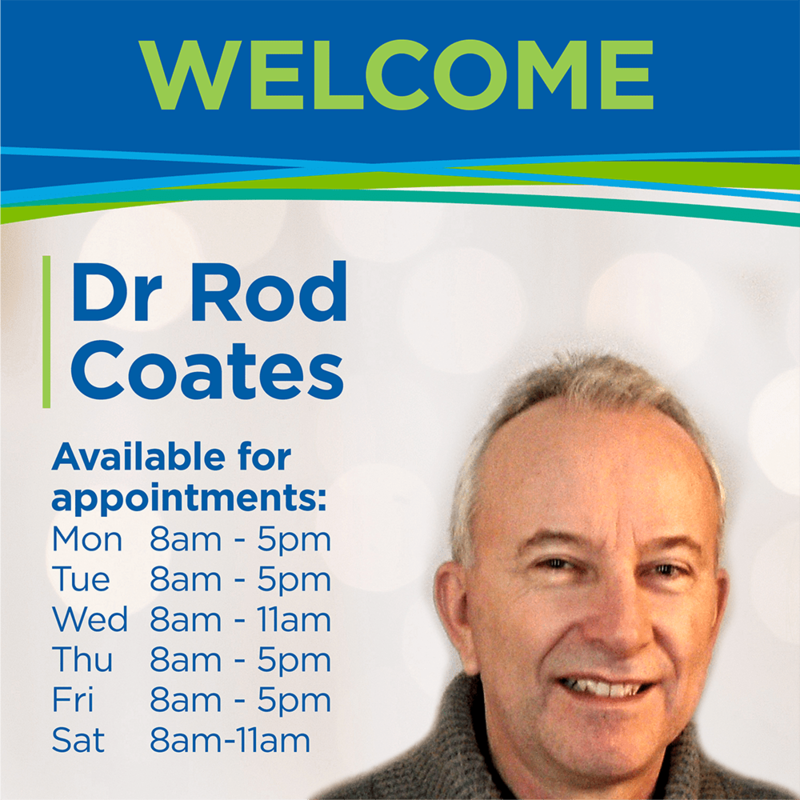 Eastbrooke Family Clinic, Burleigh Waters welcomes Dr Rodney Coates. Dr Coates graduated from Queensland University and undertook training at Royal Brisbane Hospital, Royal Children’s Hospital, Chermside and Gold Coast Hospitals obtaining a Diploma in Obstetrics and Gynaecology and a Certificate in Accident and Emergency Medicine. He has practiced on the Gold Coast for over 30 years, providing comprehensive and compassionate care for all of his patients.